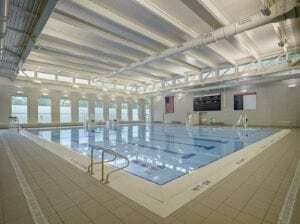 In May 2010, JJCA Architects and Ensworth School retained Counsilman-Hunsaker to prepare an Aquatic Business Plan to review revenue and expense estimations for a potential aquatic facility capable of training, fitness, swim meets, and wellness programming. The purpose of the plan was to provide the viability for the design and construction of a competition pool at Ensworth High School. 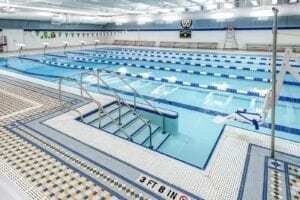 As a result of the study, in March 2011, the school district decided to move forward with the design of a new natatorium on the high school campus for training, fitness, wellness and competitive use. Counsilman-Hunsaker worked through a creative process to develop a unique elevated 50-meter competition pool due to the pool being located in a flood plain. Emphasis was placed on having a functional facility that could accommodate several simultaneous activities.